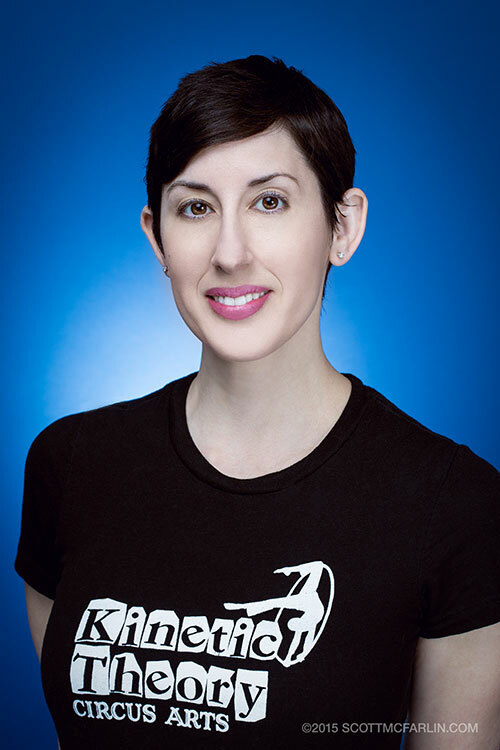 Stephanie has been teaching, directing and choreographing circus and theatre for over a decade. Drawing from her own experience training and performing solo and doubles contortion and acrobatics as well as over 20 years in theatre and mime, she has created a unique approach to both circus and physical theatre training and performance. Patrick was raised in the Green Mountains of Vermont. At the age of twelve he enrolled in an advanced circus skills class and has been juggling, tumbling and hand-balancing ever since. 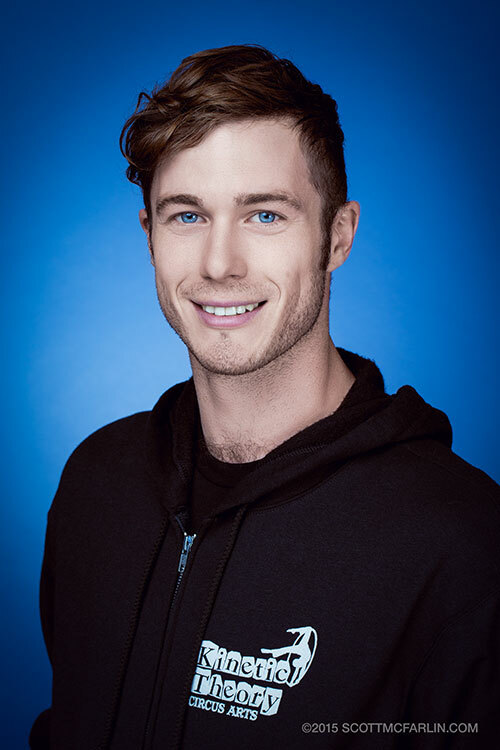 Patrick's professional career started with Blue Man Group in 2007, where he developed a deep understanding of character, pantomime, percussion, clowning and physical comedy. He has also worked as a puppeteer with No Strings Marionettes and Fantasy Technicians. He is also a registered piano technician with the Piano Technicians Guild and tunes, repairs and rebuilds acoustic pianos. He thrives on creative energy and is thrilled to be a part of the Kinetic Theory team. Lynn has been an athlete her whole life and a dancer since she was 16. Originally from Cleveland, OH, she moved to Los Angeles in 2003 after graduating from Ithaca College with a degree in film production. Upon arriving to the city of angels, she realized her aspirations were to be a performer and not to be behind the scenes. After taking an aerial workshop in 2009, she fell in love with circus and has been striving to become a professional aerialist and circus performer ever since. 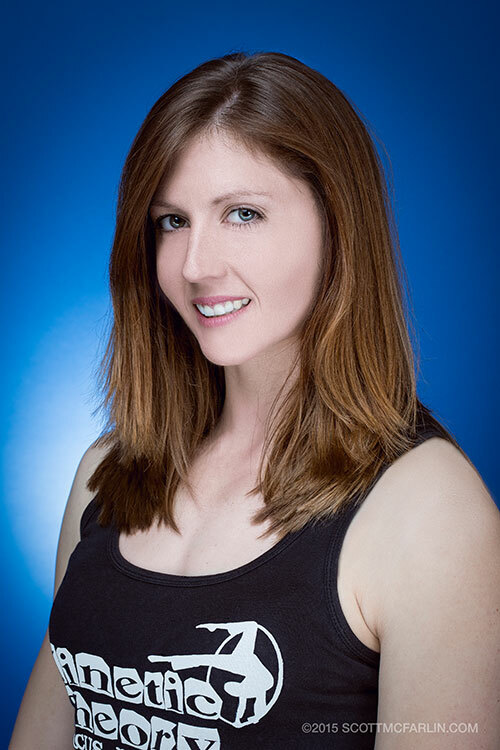 She joined the Kinetic Theory Pre-professional program in 2010 and has performed in many Kinetic Theory productions, as a student and a professional artist. She also performs and choreographs with LA Unbound Dance Collective. Kennedy has been a performer in one form or another for most of his life. Since 2003, he has trained under several inspirational aerial coaches, learning a diversity of styles and approaches to aerial arts. He has also trained and performed with the Kinetic Theory Circus Arts Troupe. He has performed his aerial skills at Highways Performance Space in Santa Monica, the Zeum Theater in San Francisco, and dangling above a sidewalk in an industrial neighborhood (also in San Francisco). He is also an accomplished actor and can be seen performing in theatre productions, television and film projects. Eric's impressive performing career began more than 20 years ago. He has been a principle performer with Cirque du Soleil Believe and Quidam; Cirque Eloize (Cirque Orchestre); Teatro ZinZanni; as well as innumerable performances of his original acts. 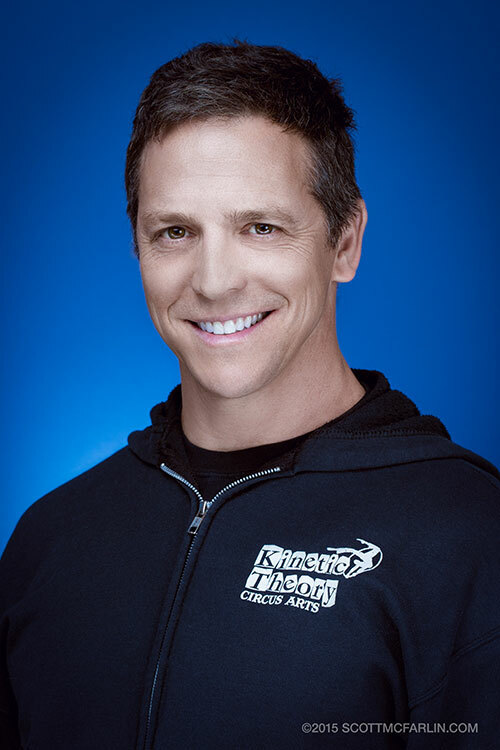 He has coached at the SF Circus Center, throughout Los Angeles and Seattle, in London, Israel and Las Vegas. In 2002, he founded Eye of Newt Circus and created solo, duo and group aerials, ground acrobatics and character driven comic acts and innovative theatre productions. He began his training in trapeze, rope and hand balancing with Chinese master Lu Yi at the San Francisco Circus Center and with Make*A*Circus, Cirque du Soleil and Cirque Eloize (with Jacinthe Trembley and Kristof Sorojenski) in Montreal. 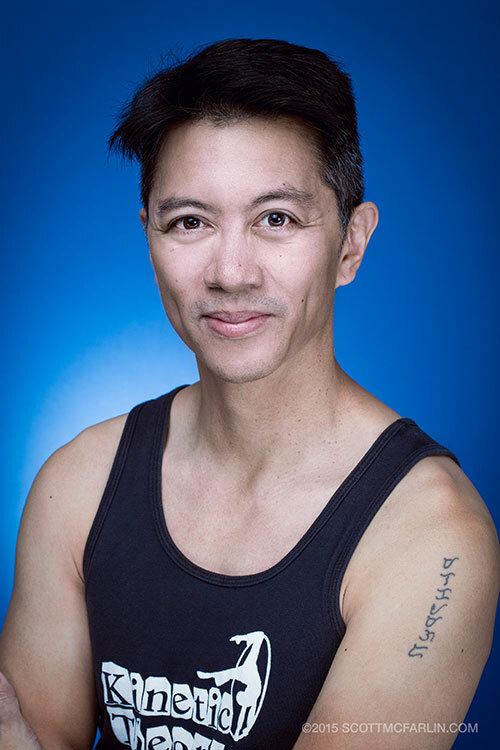 In acting, clowning and dance, Eric trained with American Conservatory Theatre, SF Mime Troupe, Ringling Bros. Clown College and SFSU. He is recognized as a master coach/teacher and act choreographer. Eric recently added Pilates instruction to his bag of tricks, developing a synthesis of classical Pilates with aerial technique. He has been profiled in the LA Weekly, on news shows on KNBC in Los Angeles and KOMO in Seattle. Lexi grew up in Topanga California & has been performing since she was a child. 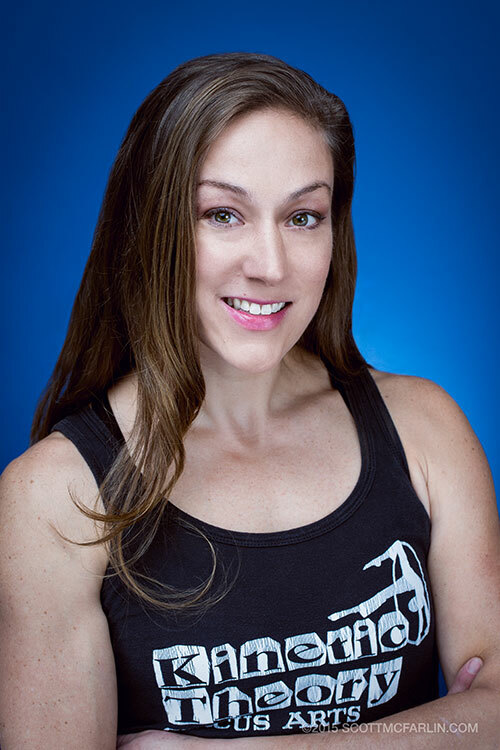 She received her BFA in dance from UC Santa Barbara & has worked as a dancer/ aerialist/ actor, with; Cirque Du Soleil, AntiGravity, Diavolo, LA Circus, Eye of Newt Circus, Dream World Cirque, Wonder World, Cirque Berzerk & the Theatricum Botanicum, on stage, screen & television. Lexi has performed throughout the world; Japan, China, Brazil, Italy, Bahamas, Mexico, Canada & all over the US. Ms. Pearl is inspired as an artist by being able to "create a tangible experience out of the invisible". Kira began dancing as a toddler and developed a passion for performing. 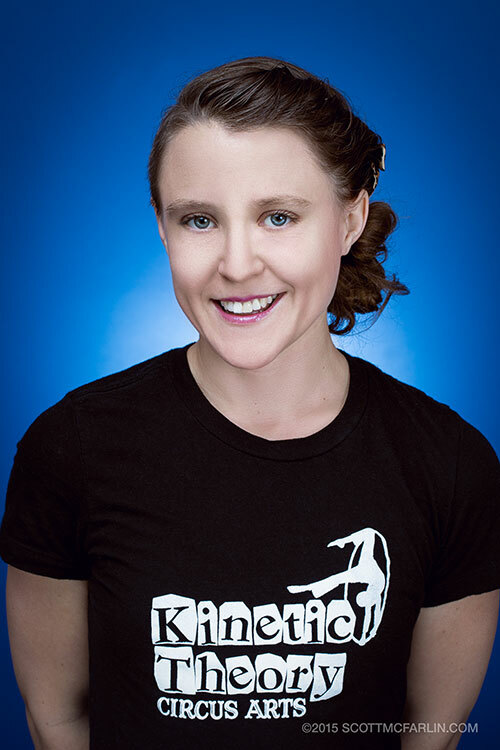 She came to KT in 2013 to take her circus training to the next level and has since become an integral part of the community. She is a member of KT's Pre-Professional program and was selected as our 2015 AMP (Apprentice Mentorship Program) student, mentored by Eric Newton. Her comic trapeze acts have become a hit in Kinetic Theory productions and at events around LA. She can also be seen rockin' out on the bass guitar and tap dancing her heart out with KT's Circus MissFits. 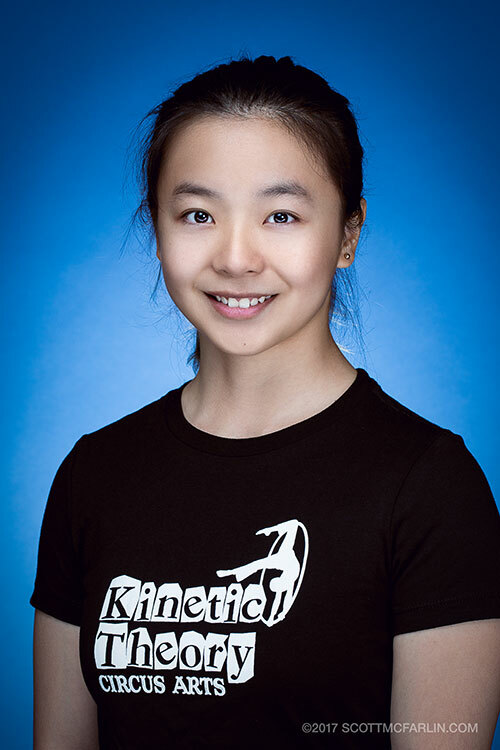 Junru "June" Wang started her acrobatic training with an award-winning coach in China at the age 4. She joined Chengdu Military Flag Circus school at 7, and at the age of 9, started touring as a solo hand-balancer with Cirque Du Soleil's Dralion. After 5 years with Cirque du Soleil, June returned to China and performed with Circus of China. She went on to win China's Got Talent season 4 in 2013, and the same year created a Guinness World Record for hand balancing which she still holds. June has also performed several times on Chinese television, in shows and venues around the world including Sea World and Lincoln Center. June moved to the U.S. in 2016 and started school at Pasadena City College, where she is currently majoring in filmmaking. She continues to amaze audiences with her hand-balancing skills while completing her studies and is an inspiration to the next generation at KT.